It is surreal to think that in less than 48 hours, I will be boarding my flight to Beijing. And after two days in Beijing I will be loading my bike and gear onto the Trans Mongolian Train bound for Ulaanbaatar. I have been planning and dreaming about this trip for years and it’s finally happening. I have been running around like crazy in Toronto these past few weeks. Mainly I have been visiting family and friends and doing some last minute shopping for gear. I have been stressing myself out about minor details – do I have enough spare batteries? Are my GPS maps good enough for Mongolia? Do I bring 2 or 3 shirts?..and it goes on. As the cliché goes, this isn’t my first rodeo – I have toured before, stressed out about the same packing details. I just have to remind myself that once I arrive, I really won’t care much about all of it. I will be happy enough to be pedalling and I will get by on what I have. I do personally believe, however, that it is always good to invest in the best gear you can afford. I have spent years accumulating stuff for bicycle touring and my investment reaches into the thousands. I will also say that not being able to afford top end gear shouldn’t stop anyone from touring. Go with what you have, get out there, ride and have a great adventure! There are two things though that you should never cheap out on – tires and racks. My Schwalbe Marathon Mondial tires will still be good for many miles yet and my Thorn racks are bombproof. I think that the rear rack is rated to up to 35kg alone. This is reassuring, because I will be carrying more weight with me this time than on my past cycling trips to Asia and South America. A lot of it has to do with my chosen routes and new techie additions like a Macbook Air 11″, tripod and selfie stick for filming with my GoPro. Crossing Mongolia, I will have to carry all of the bike spares that I could possibly need as many parts will not be available. For some stretches I will also need to carry up to 15L of water and food to last 3-4 days as settlements are far apart. All of this will probably amount to 80-100lbs of gear on my bike. Good thing I have low gears! 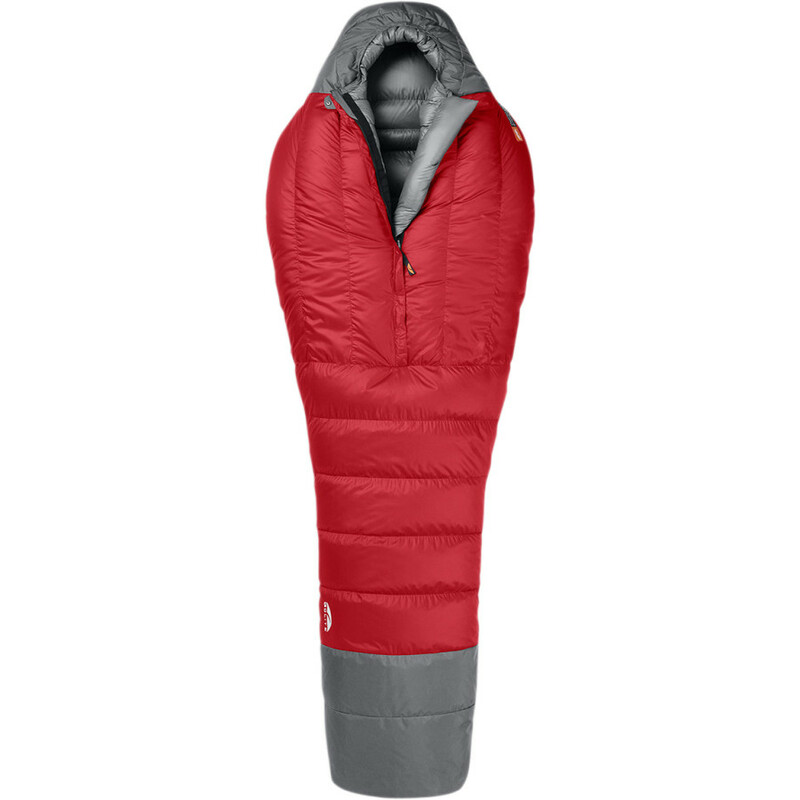 For a comprehensive packing list, check it out here. 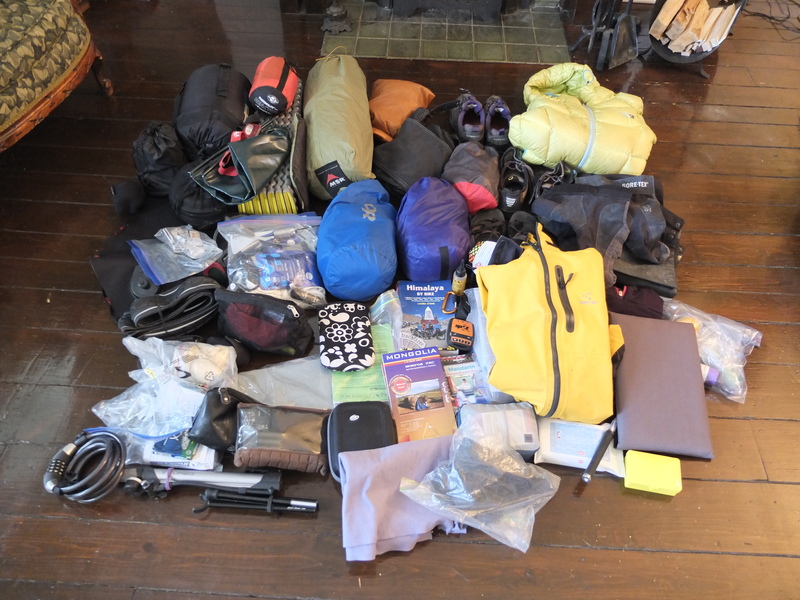 And below is an idea of what will be inside my panniers (minus food and water of course). There are many items that I have taken on my previous tours that will be making another appearance in my luggage. Here are some of the more noteworthy ones.. This jacket has kept me dry in all but the heaviest of downpours. 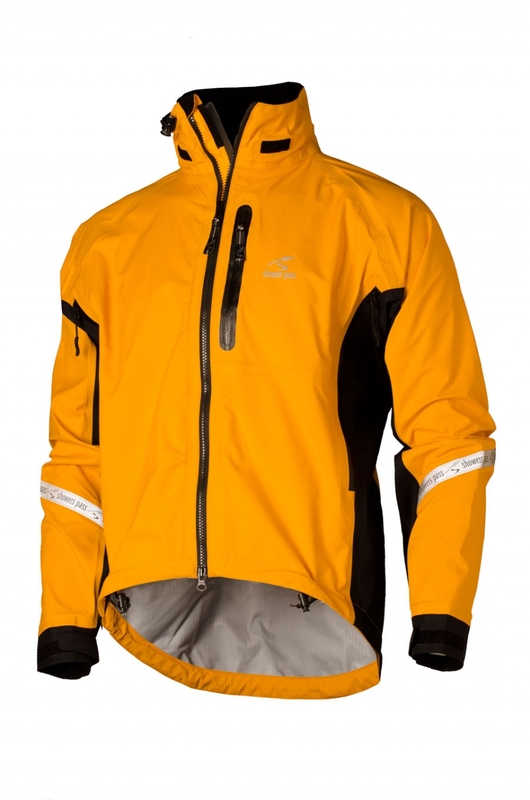 The jacket is well designed for the needs of cyclists with plenty of zips for ventilation. I also find that the event fabric breathes slightly better than Gore-tex. There is also the option for a detachable hood that fits under the helmet. The customer service is also excellent. I was having some problems with seem failure and Showers Pass very quickly provided me with a replacement jacket for my trip. Great company all around. 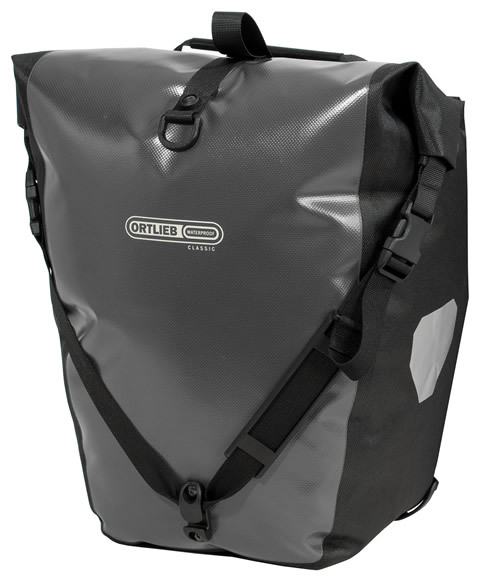 I have the Back Roller Classic 40L, Front Roller Classic 25L , Ultimate 5 handlebar bag and 31L rack pack from Ortlieb. In my opinion these are the best panniers available and I expect them to last me for many years. After about 9000km of touring with mine, I havem’t seen much noticeable wear and tear. They are completely waterproof and I like the roll top design because I find it easier to fit more gear. I think there is a reason why I have met so many other bicycle tourists using this seat. 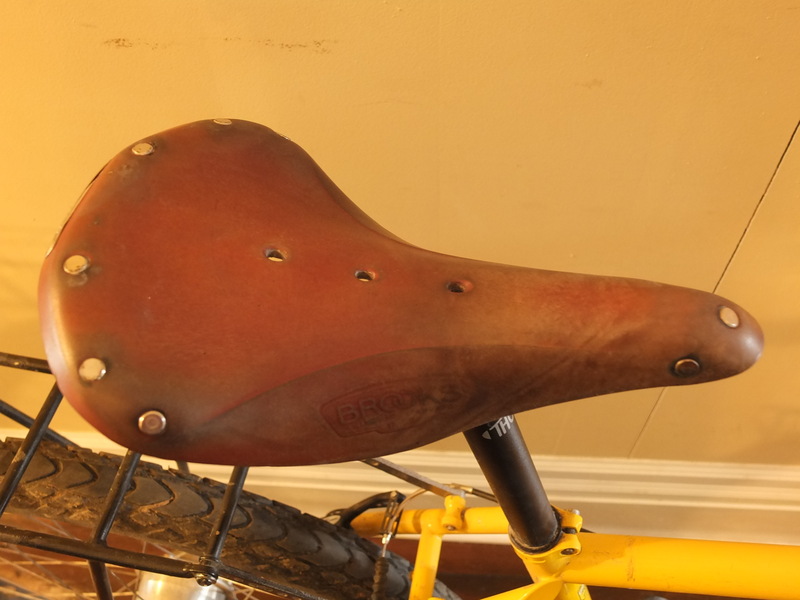 Yes, there is a bit of a break in period (about 1000km for me) but the leather will eventually mold to your shape. Mine is now so comfortable that I don’t even need to wear padded bike shorts with it (still do anyway). This bag is awesome because it is down, very warm and packs super small (soccer ball size). I bought this bag for my last cycling tour to Patagonia and I’m sure it will keep me just as warm crossing the Himalayas and Mongolian Steppe. 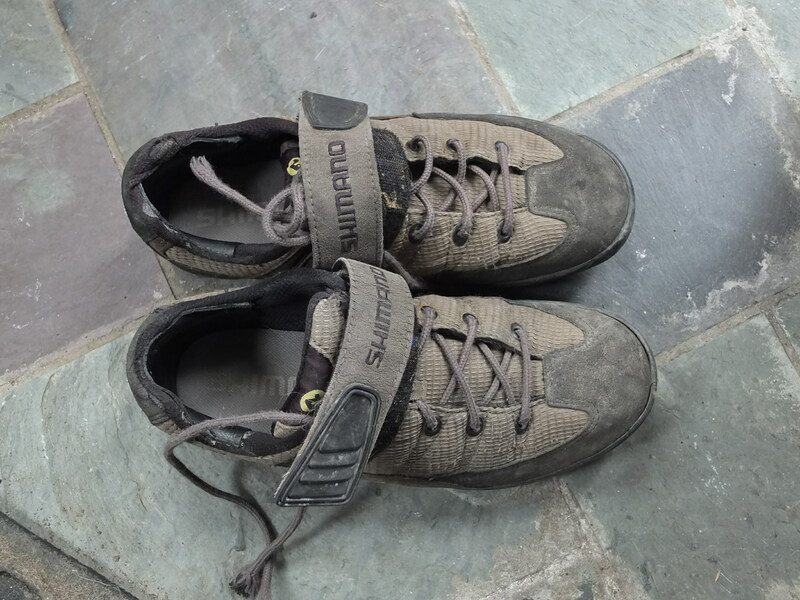 These are a just few of my favourite pieces of gear, another is MSR Hubba Hubba tent and these Shimano SPD mountains bike shoes that have lasted me 8 years! All I had to do was get some leather inserts put into back when the heels were wearing out. Still going strong after 8 years of pedalling! I apologize to those non-gear freaks out there that may find this part of post rather boring. I like talking about it because, from experience, having the right stuff can make a bike tour more comfortable. I will say it again though – go with what you can afford and don’t let it stop you from taking off on the trip of your dreams! I can’t wait to start cycling Mongolia. I am anticipating that it will be quite challenging due to prevailing winds (Westerly mainly – the direction I am cycling) rough roads, lack of signposts and unpredictable spring weather. I will be staying with Warm Showers hosts in both Beijing and Ulaanbaatar, which is great way to ease into the local life of a new country. 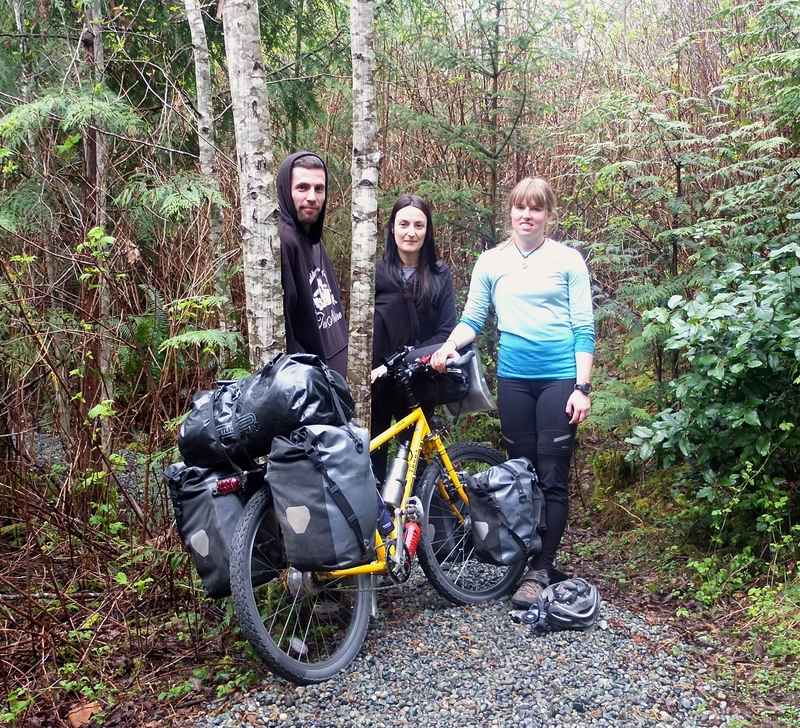 I am really looking forward to it after the great experience had cycling Vancouver Island. My next update will likely chronicle my experience in Beijing and the train journey to Ulaanbaatar. Can’t wait for the adventure to begin! Check out my route here. I was transported to that place again. That realm of peace, joy and exhilaration that is unique to life on a bike. 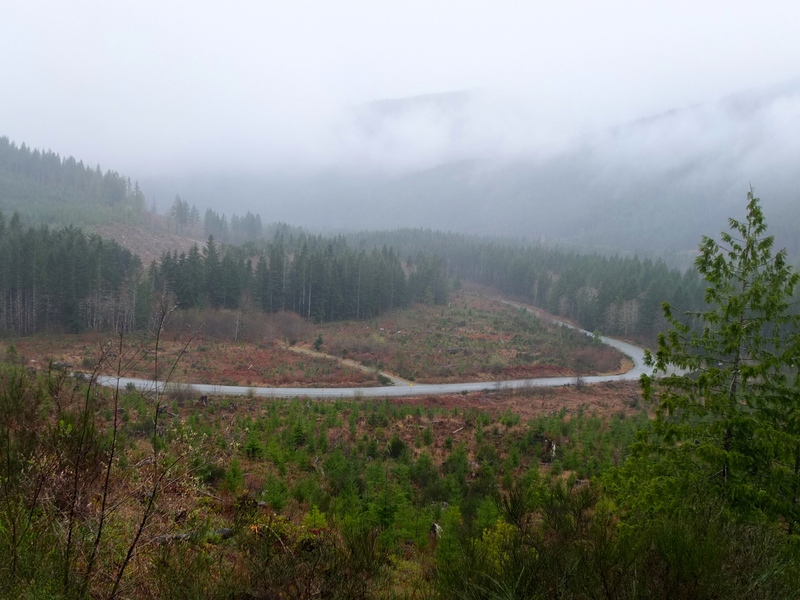 I had missed hearing the whirring of my wheels, seeing the slow changes in the landscape, the high speed descents and the burn of pedalling of 100lbs uphill (maybe not that much). 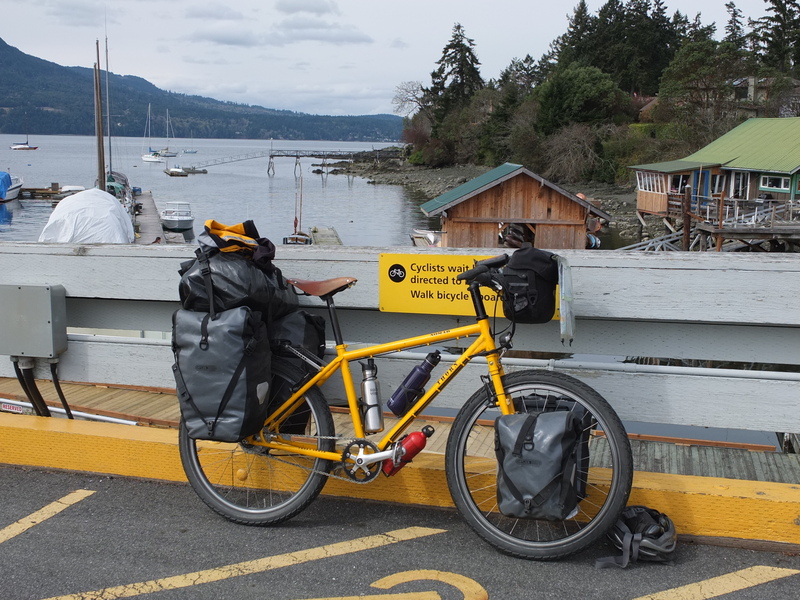 It had been over a year since I travelled on a loaded bicycle – last time was in Patagonia with friends. This time I am doing my second solo cycling tour. I spent the last 10 days cycling and exploring Vancouver Island in preparation for my 1.5 year world tour across Asia and Africa. The trip started off with a rough commute in heavy rain to Tsawwassen Ferry terminal from Vancouver. I spent the next 4 days visiting friends in Victoria and Shawinigan Lake before starting my loop of southern Vancouver Island. My ride from Shawinigan Lake began along the Trans Canada Trail – an old railway line converted to a a dirt and gravel path. It loops its way along Duncan, Lake Cowichan and Shawnigan Lake. After a few kilometers I had reached the Kinsol Trestle – a very impressive railway bridge that is one of the largest in the world and the highest timber trestle remaining in the Commonwealth. 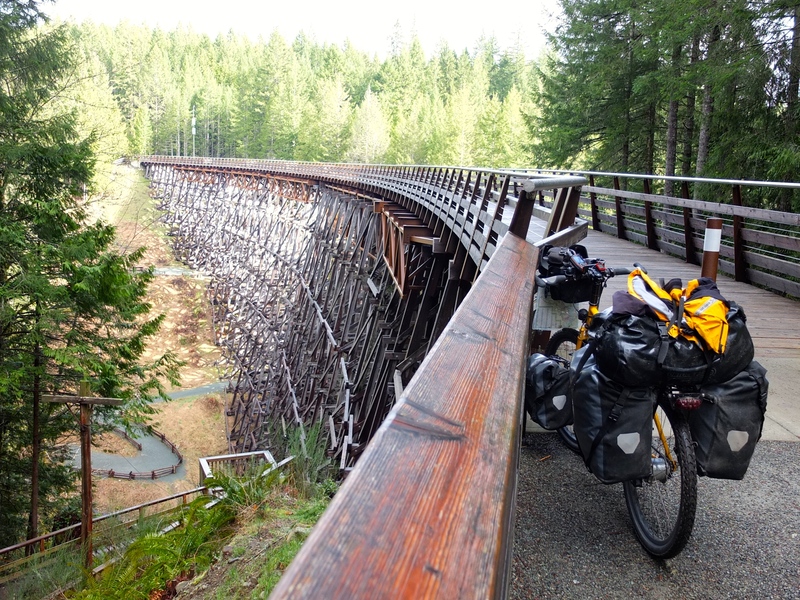 Once I had passed the trestle, the trail weaved it’s way through the coastal woods and I was alone for most of the 40km to Lake Cowichan. As it is the off season, sections of the trail were not maintained. 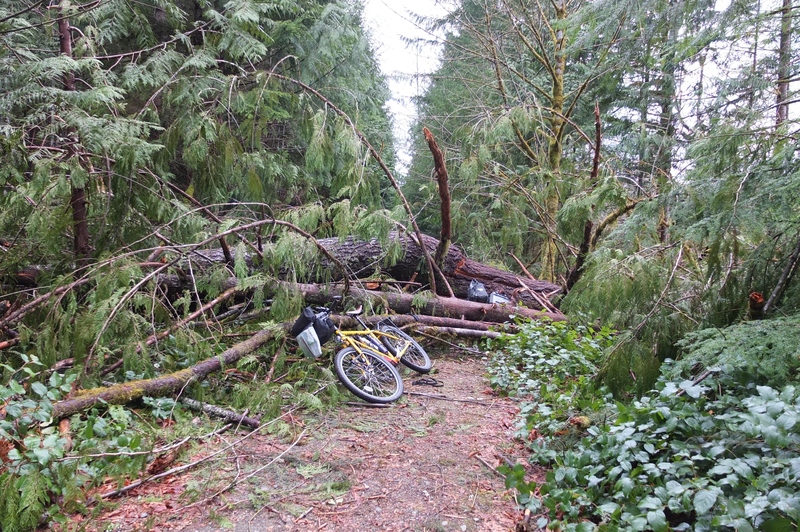 Several times I had to unload bike and ferry all of my gear across some fallen trees. A spare if I needed it? I stayed at a campground that night just outside of Cowichan Lake. It is a forestry town, apparent by the many logging trucks passing through. The town is surrounded by large green hills scarred by clearcuts. Late into the night, the rain began and didn’t cease for the next 24 hours. 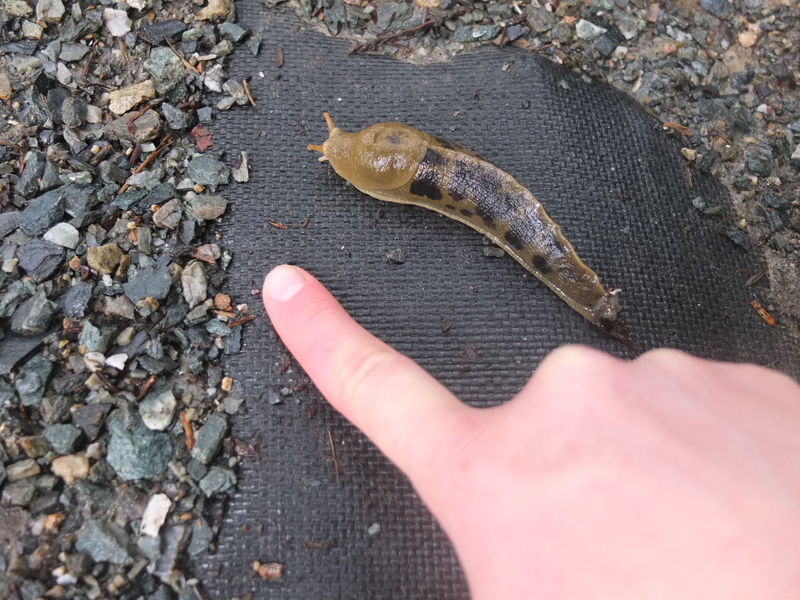 Coming to Vancouver Island, one must understand that it does rain here – a lot. 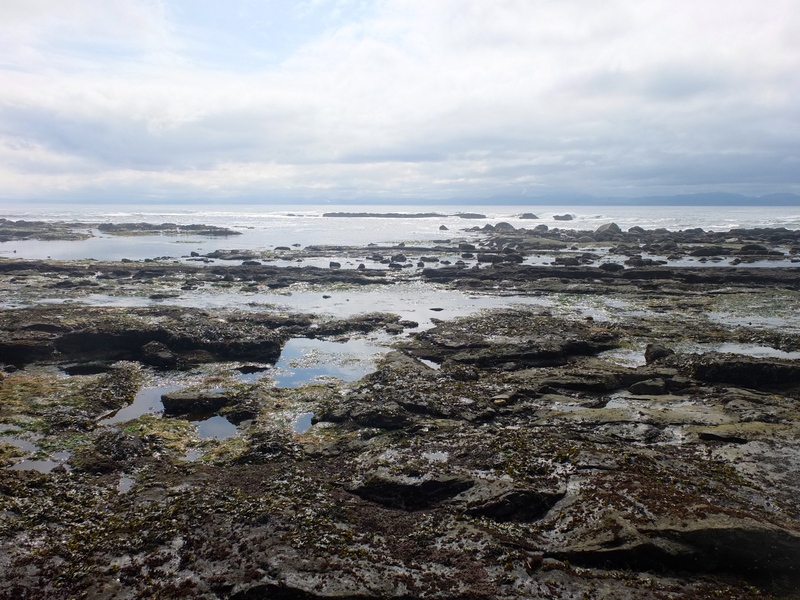 Still, waking up in the morning I was far from motivated to camp that night in Port Renfrew. This is when I decided to try out Warm Showers or Couch Surfing. 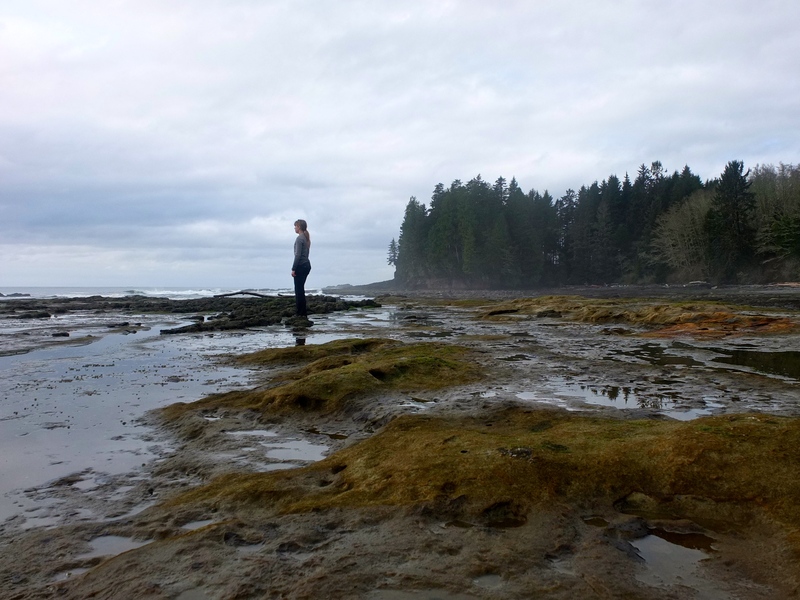 I was able to contact the only Couchsurfer in Port Renfrew, Didier. Within half an hour he had responded to my request and agreed to take me in. I was looking forward to it. It was a wet and hilly ride, but there weren’t as many logging trucks as I had expected. For the first 30km, a landscape of impossibly steep clearcuts dominated. It was a sight I had grown used to, after working in the industry for almost 10 years. 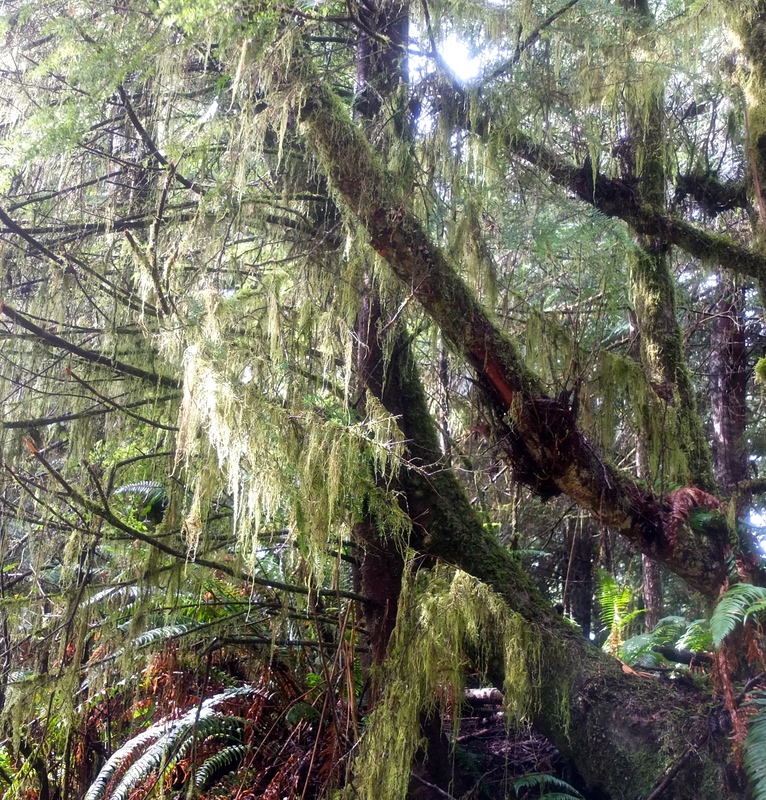 I stopped to see the Harris Creek spruce tree about 20km from Port Renfrew. It was absolutely massive. 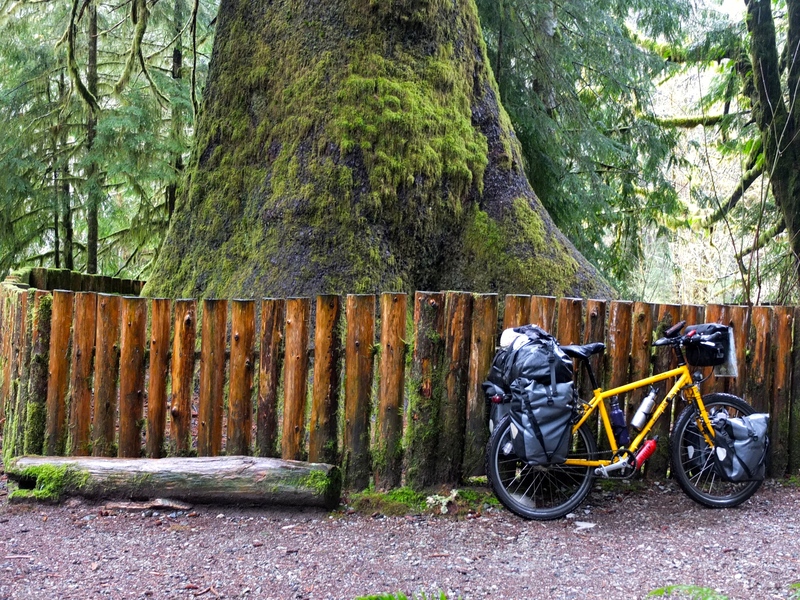 I rolled into Port Renfrew soaked – really, I couldn’t have been any wetter (Gore-tex maxes out after about 3 hours). Luckily, it was still around 10 degrees and I had a big smile on my face – I was out bike touring again! I went to the visitors centre to find out where there was a coffee shop to warm up. A lady told me to go to “the hotel” – meaning there was only one hotel and that was all that was open. Directions were simple as there was really only one main road. 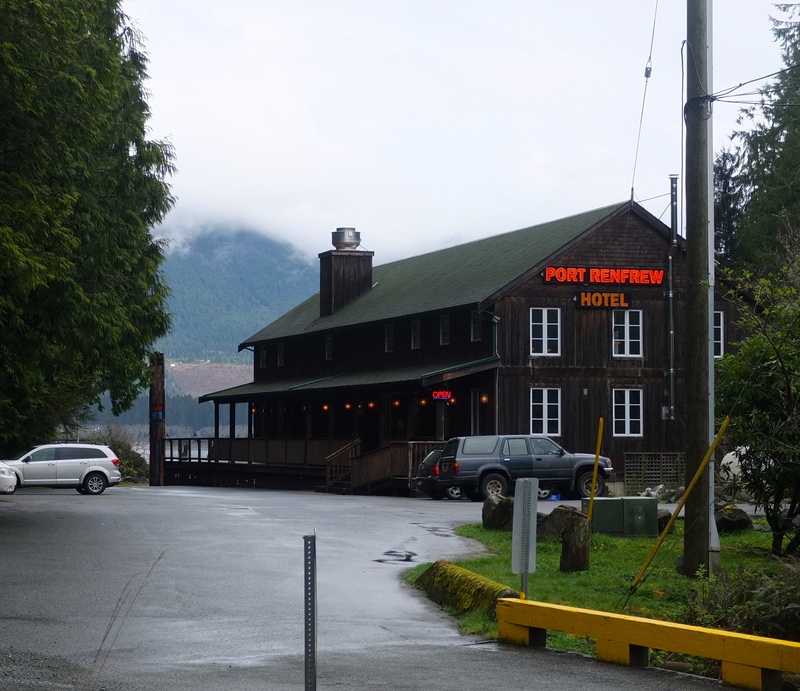 I pulled my bike up to the Port Renfrew Hotel and walked into the bar area awkward and dripping wet. There were only a few people there. Upon asking for tea, a smiling, bearded fellow said “Hi! You must be looking for Didier.” He introduced himself as Johnny Mac and said he had spoken to Didier earlier, who mentioned that he was hosting a cyclist. “I’m the Wal-Mart greeter of the town!” Johnny said, laughing. Immediately I felt very welcome in this tiny community (around 200 live there in the winter). He even offered me a ride to Didier’s place, which I happily accepted as I wasn’t itching to ride in the rain anymore (even though it was less than 1 kilometre away). Didier divides his time between living in Vanuatu in the South Pacific and in Port Renfrew to be closer to his children. He has travelled the world by offering his skills as a carpenter, which he has done for 30 years. 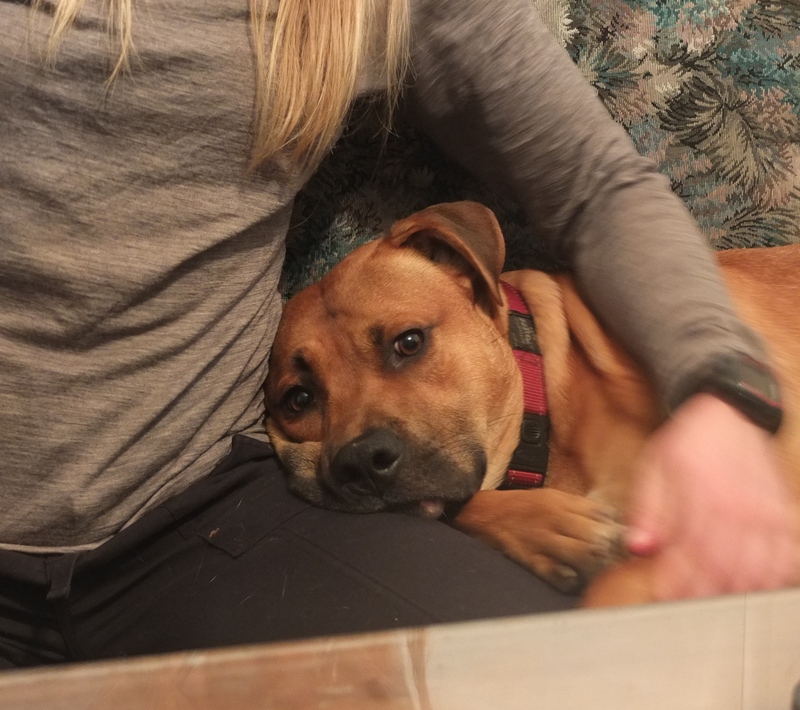 In Port Renfrew, he lives with his amazing dog, Charlie Brown – a local celebrity. I was humbled by the kindness and generosity shown to me by Didier. A warm bed, a shower, a tasty meal, good conversation – all of it made the 4 hours of riding in the rain 100% worthwhile. I am thrilled to finally be a part of the couch surfing community and I hope to one day give back myself as a host. Charlie Brown – the world’s greatest dog! By a miracle, the sun came out the next day. 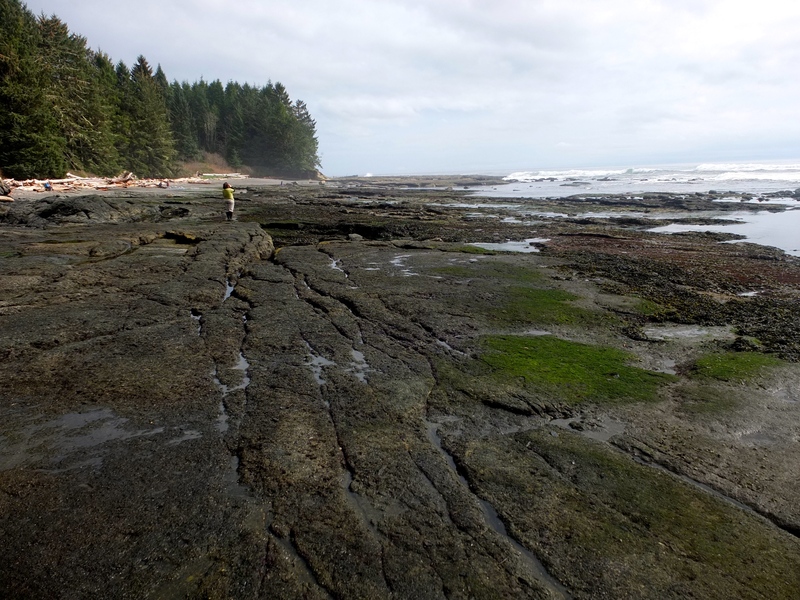 Since it usually rains around 300 days a year in Port Renfrew, one had to take advantage. I walked down to Botanical Beach from Didier’s. 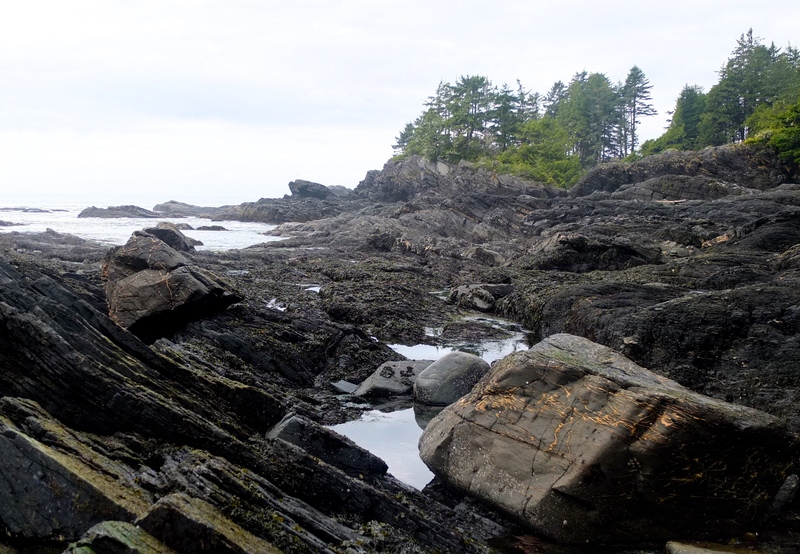 Botanical Beach is at the start of the Juan de Fuca trail, a tough 47 km hiking route stretching east along the coast to China Beach near Sooke. 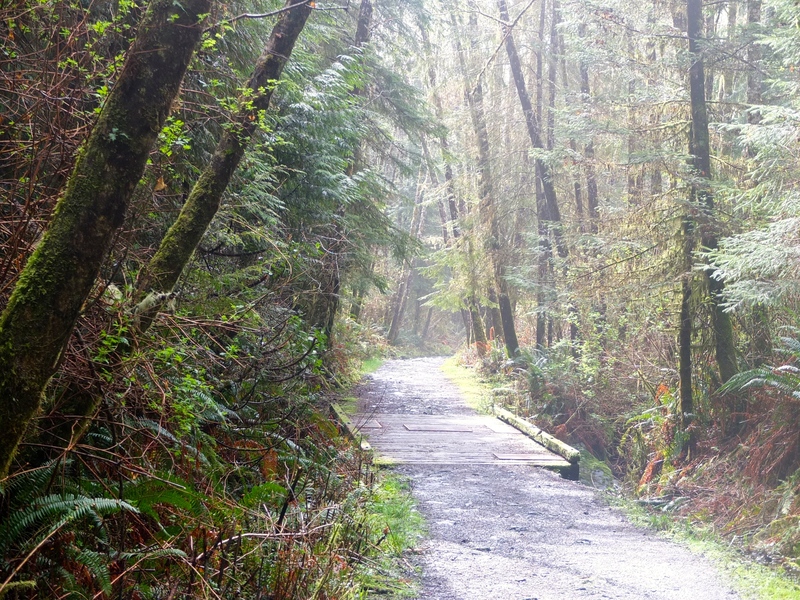 The trail to the beach wound through beautiful coastal forest bearded with bright green mosses. And the beach itself was stunning. 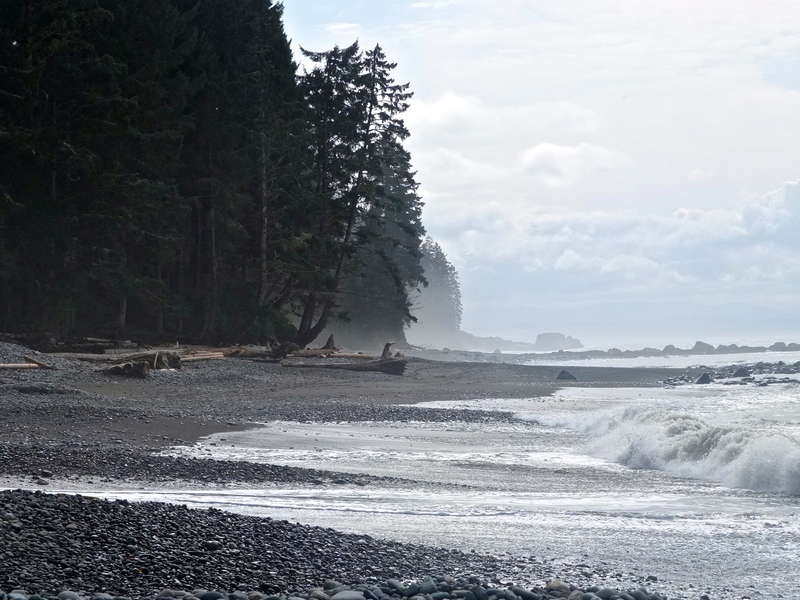 Different from a tropical, white sand beach, the rugged British Columbia coastlines almost have an ethereal feel to them. 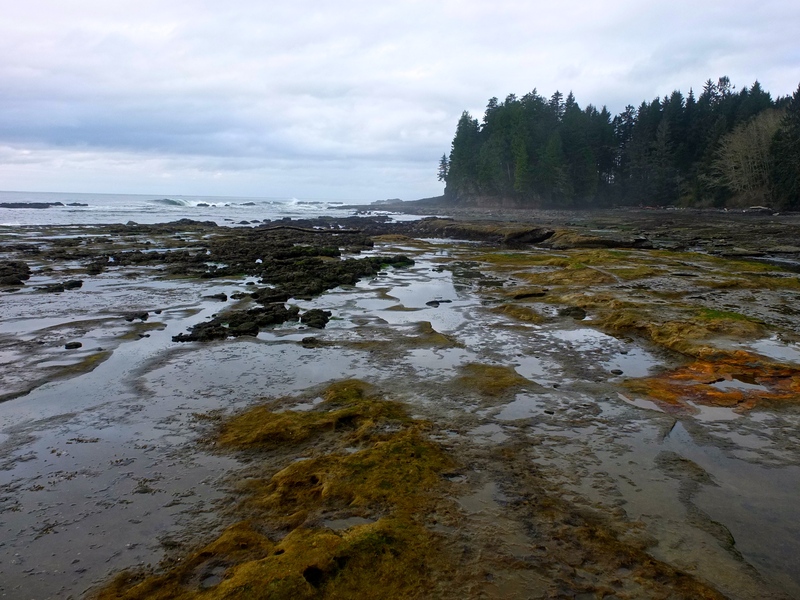 Botanical Beach is know for its tidepools that are made out of sandstone. 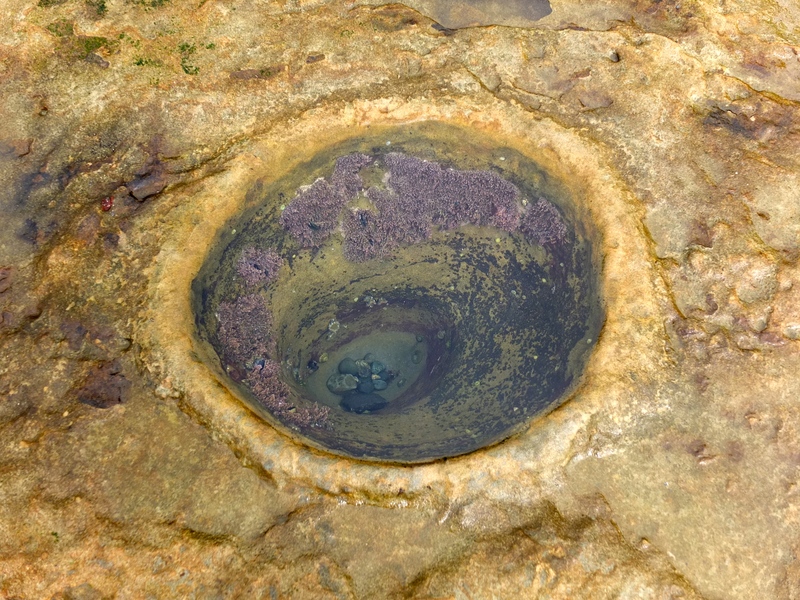 Some of these parks tidepools are formed by wave-tossed boulders carving out pockets in the sandstone. Purple Sea Urchins further modify these tidepools by grinding out small pockets. It was a great day. 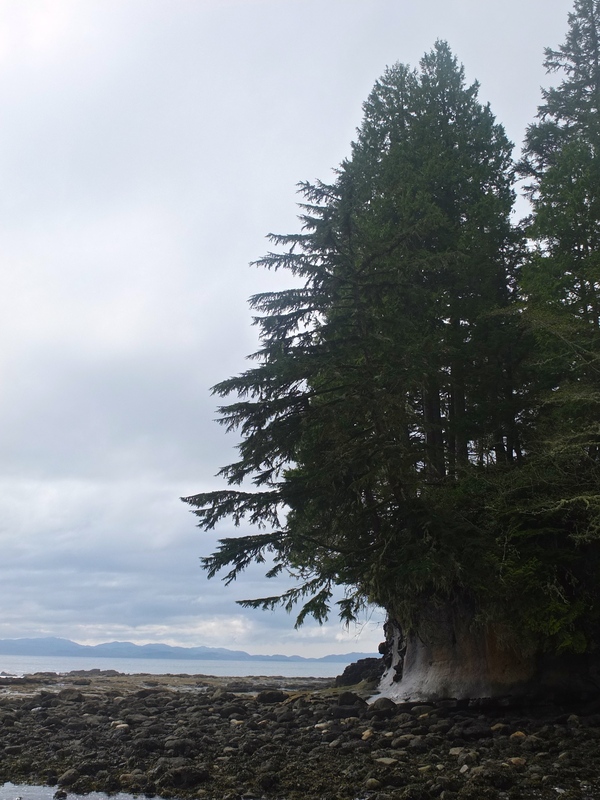 I really enjoyed my time in Port Renfrew exploring this remote and beautiful place. After such a great first time couch surfing experience, I was ready to cycle to French beach, 50km away to meet my next hosts Damaris and Justin. 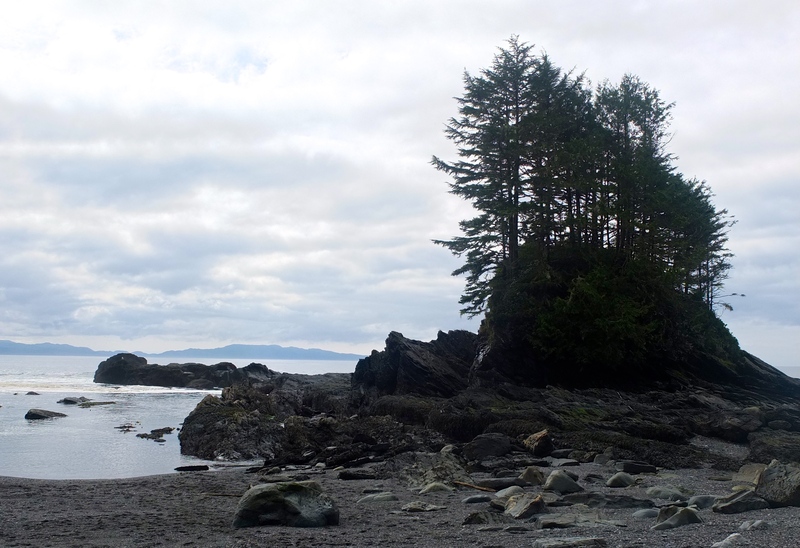 The weather was on my side again and I climbed my way out of Port Renfrew, rolling up and down all the way to French Beach. The road was forested most of the way, with a few roadside clearcuts offering views to the ocean. 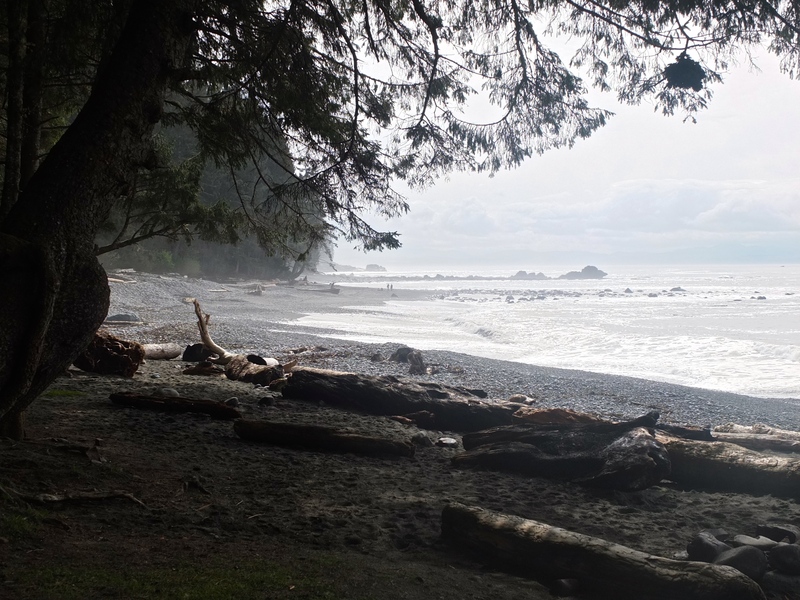 Around 17km from Port Renfrew I took a steep side road down to Sombrio beach, recommended to me by a friend who used to surf there. 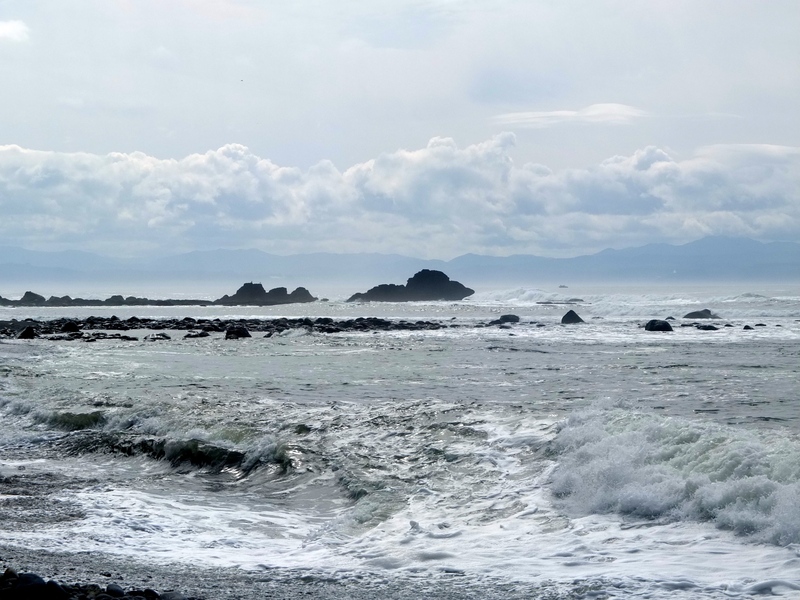 I wasn’t a surfer myself, but I knew that more beautiful scenery awaited. 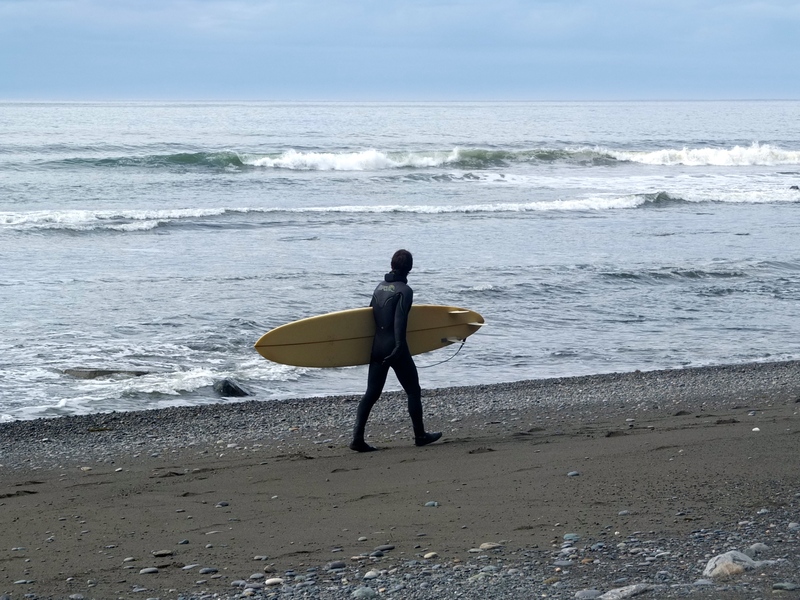 In the parking lot by the trailhead, I saw a few VW vans with scruffy-haired surfers emerging in their wetsuits. Down at the beach, there were probably about 10 people riding waves, while others hung out by their tents around a fire. I really liked the feel of the place and just sat on the rocky beach, watching the scene unfold. After a bit of a grind back to the main road, I headed towards French Beach. I crossed paths with an Italian cyclist who was spending 5 months riding around Canada and the USA, going the opposite direction as me. We chatted briefly and upon leaving we gave each other the most awesome and enthusiastic high five/hand shake. 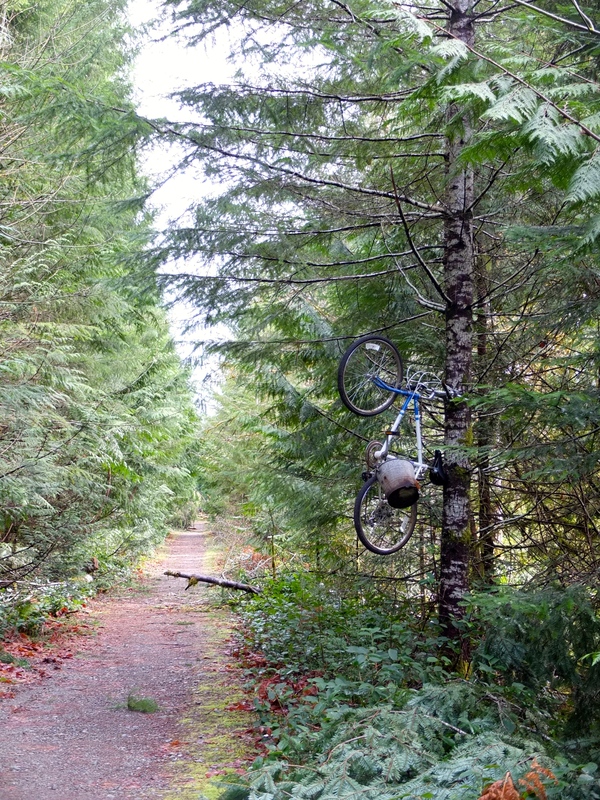 “Enjoy life!” he said and then rode away. It kept me smiling for a while after. In French Beach, my host Damaris had told me that her property had large metal gates with dragons on them and I couldn’t miss it. I soon saw the dragons and the very steep driveway and starting pushing my beast of burden to the top. 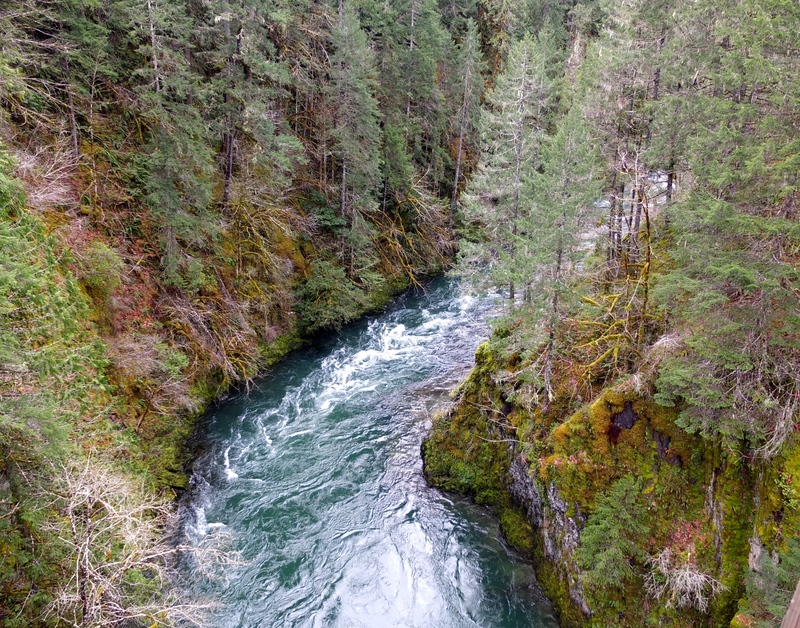 Damaris and Justin lived in a beautiful little cabin tucked away in the woods. Once again, I was shown great kindness and hospitality. Both are long time travellers that met through couch surfing. They entertained me with hilarious travel stories and amazing vegan food. 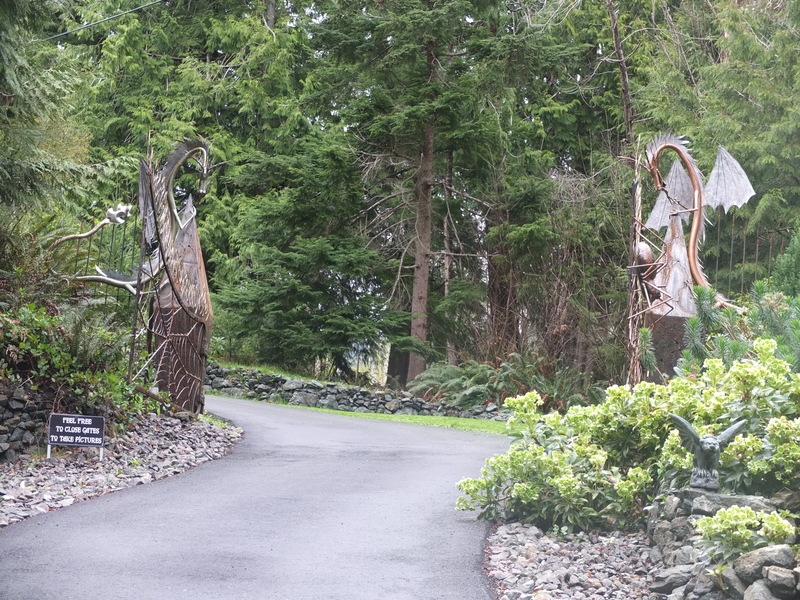 Justin and his parents had built their home entirely themselves and had a very impressive collection of iron sculptures they had welded. That night I had another amazing sleep on probably the most comfortable couch ever. I headed out the next morning towards Shawnigan Lake again to break up the trip back to Nanaimo, where I would catch the ferry back to Vancouver. On the way to Sooke, I wanted to stop at the Kemp Lake Music Cafe, where Mirjam, the Cycling Dutch Girl passed through last year. I have been following her journey for a few years. She has been on the road since 2001. The guys that worked there definitely remembered her, saying she was a “neat lady.” It was a cosy little place – a spot where I could easily waste away a rainy afternoon sipping many cups of tea listening to local musicians playing. 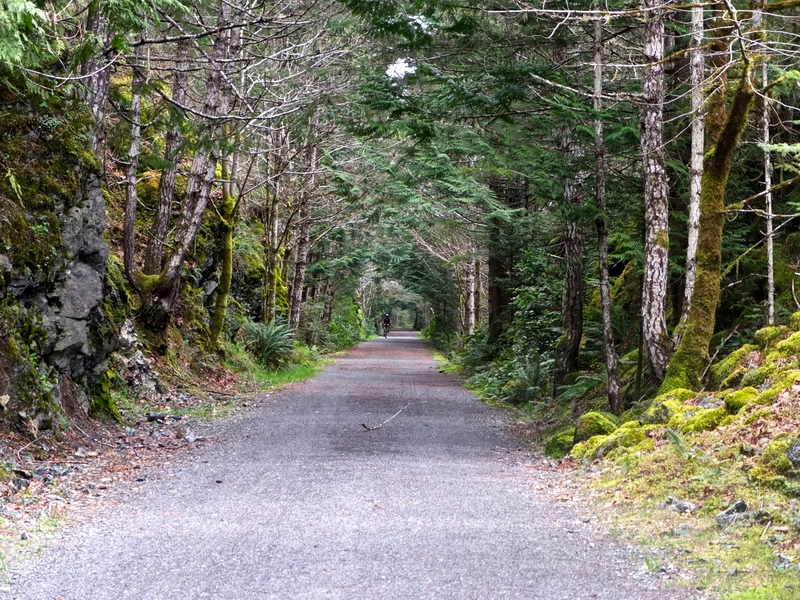 Out of Sooke I hopped onto the Galloping Goose Trail – a well maintained dirt trail that connected Sooke with Victoria. Being an old railway line, it was flat route and very pleasant to ride. I spent my final night on the Island with Warm Showers hosts, Jim and Cory. 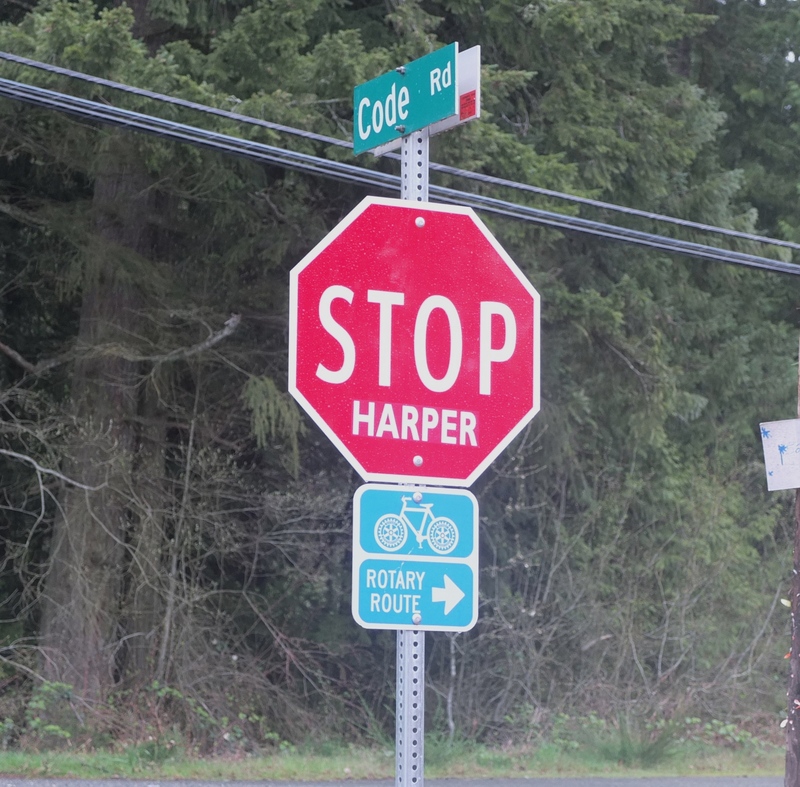 They lived in a quiet farming community just south of Nanaimo. Luckily I could avoid the main Trans Canada Highway and ride the “Rotary Route” on quieter roads that paralleled. The final stretch to Cory and Jim’s house was the most enjoyable – quiet roads through farming communities. Another steep driveway had me huffing and puffing to the top, where I was greeted by Cory’s lovely smile. She immediately showed me and my filthy bike into her garage and once again, I felt like a very welcomed guest. Soon after I met Jim and right away the cycling talk began – tours we had taken, looking at and discussing the components on my bike etc. etc. Cory made an incredible stir fry for dinner and we spent the night talking about travel in the most far flung places. Cory and Jim traveled the world for almost 10 years, self publishing a book about it. I left the next morning for the ferry back to Vancouver. Although this was a short tour, it was made incredibly memorable by the people that I met along the way. I had planned to camp most of the time, but only did so once. I am so thrilled to have finally gotten to know the Warm Showers and Couchsurfing communities. It was a wonderful and humbling experience to be taken care of so well by strangers. After this trip, I feel excited and ready to begin my adventures in Asia. I know, however, that this experience will be far different than the rough roads and remoteness of Mongolia, where I will begin the journey. I will be spending the next month in Vancouver and then Toronto preparing for the big trip. On April 29, I am flying to Beijing and will be taking the train to Ulan Bator where I will start cycling west. Stay tuned for my adventures!